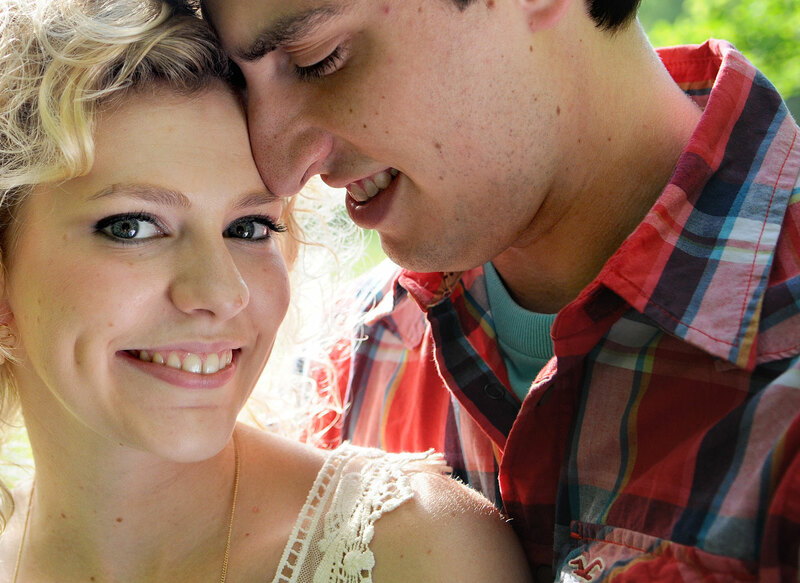 Engagement session in Aaron’s childhood backyard in St. Clair County, Michigan. When Aaron and Kaylen first started dating and Kaylen was living in Detroit, and Aaron was in Smiths Creek. Aaron made this cute little story with the traveling suitcase. He did a few photo shoots with the blue suitcase, and when he was away to North Carolina Kaylen did one. They also used it as a card holder on their wedding day.